Service Up and hold the wiper arm off the windshield when performing the wiper blade replacement. Pinch the two tabs on top of the wiper blade. Rotate the bottom edge of the wiper blade, downward, away from the wiper arm. Detach the wiper blade from the hook end of the windshield wiper arm. 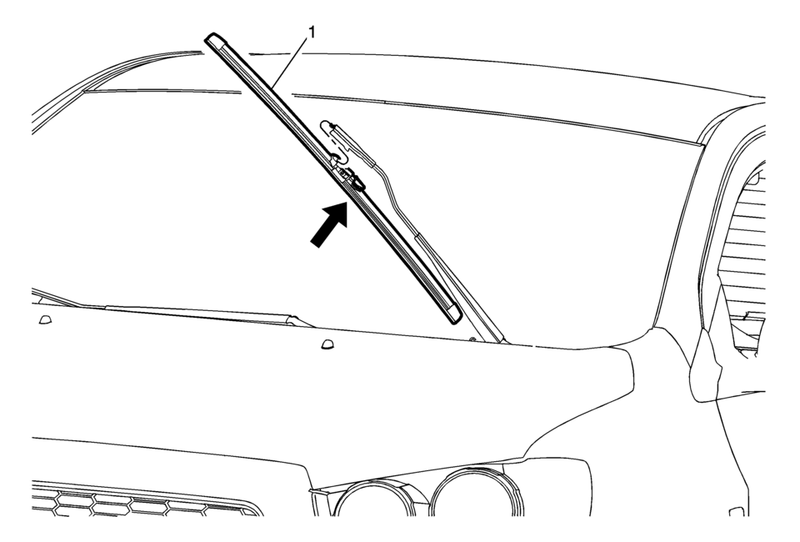 Carefully return the windshield wiper arm back to the glass until the new wiper blade is installed.